Bale set for Spanish move? | The Transfer Tavern | Where football transfer rumours fly or die! Bale set for Spanish move? Spanish Champions Real Madrid have brought the Football Transfer Tavern to a halt with the news that Gareth Bale could well be their next target according to the Mail Online. The Welsh International has long been linked with both Real Madrid and Barcelona yet it is Jose Mourinho’s men who are after the player in what is claimed to be a £33 million bid. 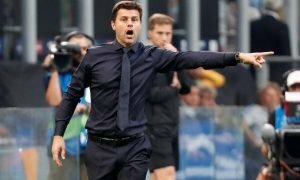 Mourinho has seen his side falter of late and feels that the Spurs man could well be the key in adding a further dimension to his Los Blancos outfit. Of course as our landlord points out, it is news that will unsettle both Andre Villas-Boas and Spurs supporters who would want to keep hold of their prized asset at least until the summer. Real Madrid president Florentino Perez faces re-election in the summer, and with the current state of affairs at the club, only a star signing and a fantastic second half of the season will see him retain power at the club. 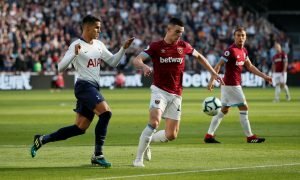 AVB has strongly refuted the claims that the 23-year-old could be sold, stating that: “We recognise he is one of our major assets, but there are no release clauses, and a player of his dimension has a market value that is unattainable for most other clubs.” Real Madrid however are a club who can afford Bale and according to Marca have set aside a package of £56 million to do so. Would Bale cut it in Spain? Vote in our polls below.